Rain, sleet or snow, you’ll be able to halt your vehicle with far more control if you have disc brakes. Based on their build, they prevent water from flooding the brakes, leaving them dry in inclement weather. That puts more control in your hands when you’re up against mother nature. If you splash through a muddy puddle, your drum brakes will immediately clog-up. 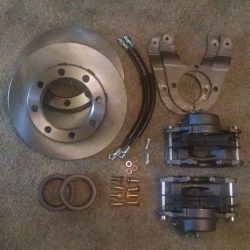 It doesn’t matter how new the hardware is or how well you’ve installed it, your drum brakes have a much higher potential to fail. They’re more susceptible to nature, which not only cost you repair expenses, but also affects your vehicle safety. Certain parts of our vehicles are aggravating or difficult to repair, and though they may seem like less maintenance, drum brakes are no exception. There are no springs to break and no adjusters to rust. While disc brakes have more moving parts, they’re built in such a way that makes them more reliable. Drivers notice an immediate difference in how their brakes feel when they transfer from drum to disc. Even if you replace your kit, drum brakes and the shoes don’t meet up properly. You have two components to worry about and how they work together. Disc brakes work differently: They don’t have the same issues that drum brakes do, making them more reliable and safer. 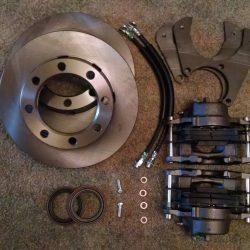 It can take some time and a conversion kit to transfer your braking system, however, the payoff is peace of mind and saving money over time. 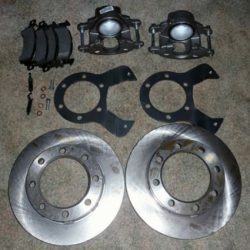 Your drum brakes are costing you money and causing you problems, don’t you think it’s time for a switch? Check out disc brakes save yourself time and money.